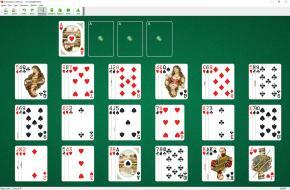 Fan Solitaire uses 52 cards.17 tableau piles (three cards in each) are placed on the board. The last card is placed alone. It will be the 18th incomplete pile. 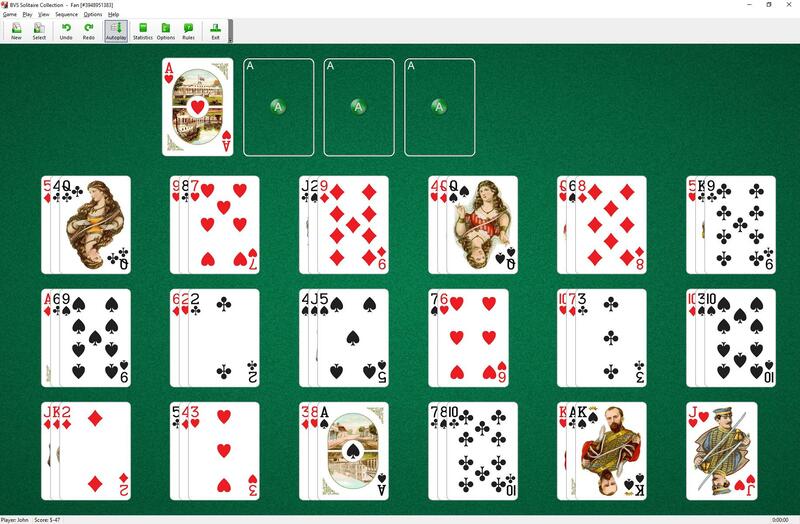 Only the top card of each pile is available to play. The piles are built down in sequence in suit. When any tableaus are empty you can fill the space with a King.